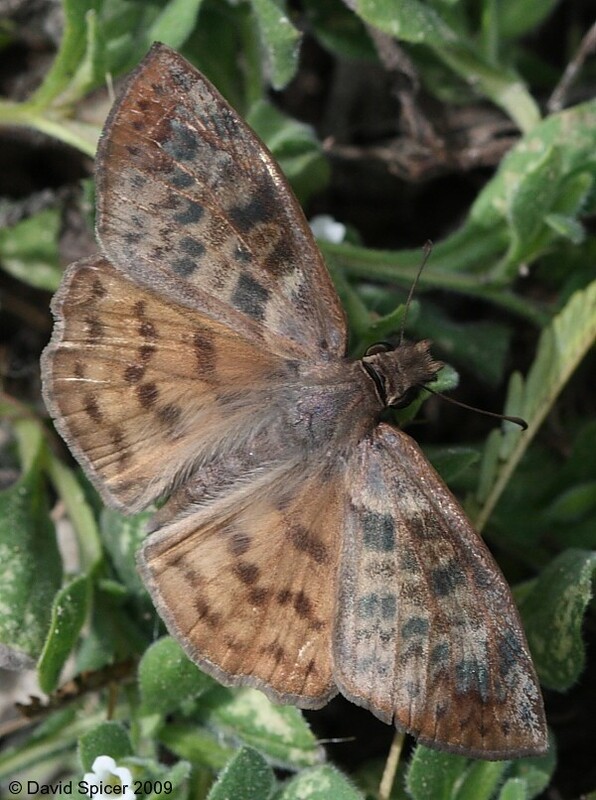 Identification: Upperside of forewing is dark brown with irregular bands of darker spots; does not have transparent spots. Hindwing is orange-brown; upperside with 3 dark bands, underside with muted mottling. Wing Span: 1 1/2 - 1 11/16 inches (3.8 - 4.3 cm). Life History: Caterpillars feed on leaves and rest in shelters of rolled leaves. Flight: Many broods from March-November in South Texas and Mexico. Caterpillar Hosts: Barbados cherry (Malpighia glabra). Habitat: Openings and edges in tropical forests; city flower gardens. Range: South Texas, Mexico, and Jamaica. Conservation: Habitat in the lower Rio Grande Valley should be expanded. Management Needs: Monitor populations in the lower Rio Grande Valley, Texas.